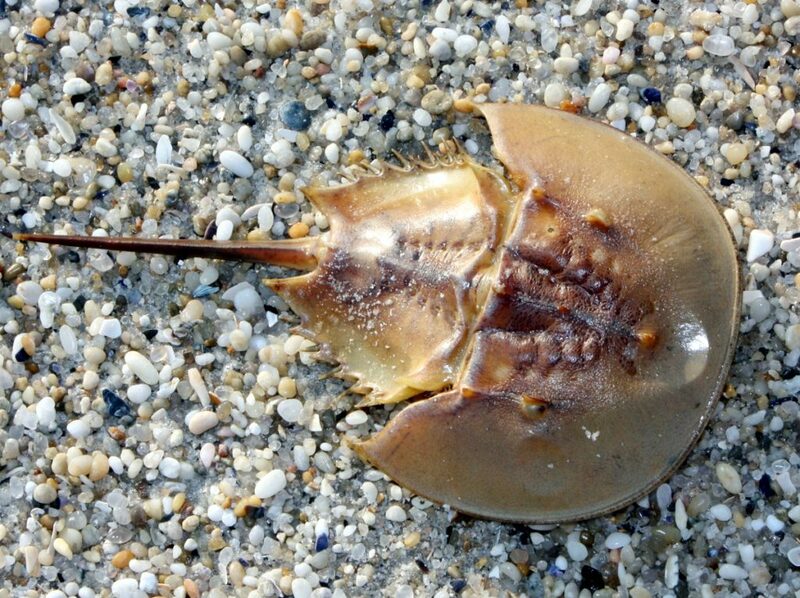 Horseshoe crabs (Limulus polyphemus) migrate to shallow water to mate and lay their green-coloured eggs. They are benthic and feed on worms and molluscs. Horseshoe crabs swim with their bodies upside down. The Horseshoe crab is more closely related to spiders and scorpions than crabs. Find out more!